SAN JOSE, Jul 26 2016 (IPS) - While Latin America keeps expanding its agricultural frontier by converting large areas of forest, one country, Costa Rica, has taken a different path and is now a role model for a peaceful coexistence between food production and sustainable forestry. The UN Food and Agriculture Organization (FAO) flagship publication The State of the World’s Forests revealed that commercial agriculture was responsible for 70 percent of forest conversion in Latin America between 2000 and 2010. “What FAO mentions about the rest of Latin America, clearing forests for agriculture or livestock, happened in Costa Rica during the 1970s and 1980s,” Jorge Mario Rodríguez, the director of Costa Rica’s National Fund for Forestry Finance (Fonafifo), told IPS. “Agricultural development doesn’t necessarily require the expansion of croplands; rather, it demands the coexistence with the forest and the intensification of production by improving national farmers’ productivity and competitiveness" -- Octavio Ramírez. At its worst moment, during the 1980s, Costa Rica’s forest cover was limited to 21 to 25 percent of its land area. Now, forests account for 53 percent of the country’s 51,000 square kilometers, with almost five million inhabitants. The country has managed to hold and even push back the advance of the agricultural frontier while strengthening its food security, according to FAO, which says that Costa Rica’s malnutrition rate is under 5 percent, something the organisation accounts as “zero hunger”. “Here’s a learned lesson: there’s no need to chop down forests to produce more crops,” FAO Costa Rica director Octavio Ramírez told IPS. Despite the increase in forest cover, FAO states the average value of food production per person increased by 26 percent in the period 1990–1992 to 2011–2013. FAO attributes this change “to structural changes in the economy and the priority given to forest conservation and sustainable management” which were seized upon by Costa Rican authorities in a specific context. “It has to do with the livestock crisis during the 1980s but also the priority given by Costa Rica to forest management,” said Ramírez, born in Nicaragua but Costa Rican by naturalisation. 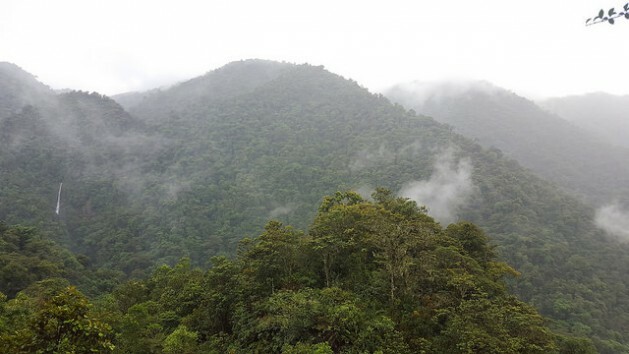 In The State of the World’s Forests report, launched on July 18, FAO explains that Costa Rican forests were regarded as “land banks” that could be converted as necessary to meet agricultural needs. “To keep the forest intact was looked upon as a synonym of laziness and unwillingness to work,” Ramírez explained. But there were two key elements during the 1980s that led to better forest protection, the environmental economist Juan Robalino told IPS. Meat prices plummeted while eco-tourism became a leading economic activity in the country, explained the specialist from Universidad de Costa Rica and the Tropical Agricultural Research and Higher Education Center. “This paved the way for very interesting policy-making, like the creation of the Payments for Environmental Services (PES) program,” said Robalino, one of the top experts in Costa Rican forest cover. FAO states that a big part of Costa Rica’s success comes from PES, a financial incentive that acknowledges those ecosystem services resulting from forest conservation and management, reforestation, natural regeneration and agroforestry systems. The program, established in 1997 and ran by Fonafifo, has a simple logic at its core: the Costa Rican state pays landowners who protect forest cover as they provide an ecosystem service. From its launch until 2015, a total of 318 million dollars were invested in forest-related PES projects. 64 percent of the funding came from fossil fuel tax, 22 percent from World Bank credits and the remainder from other sources. After studying PES impacts for years, Robalino explains the challenge for 2016 is to look for landowners with less incentives to protect their forests and bring them on board with the financial argument. “The goal is to always look for those who’ll change their behavior because of the program,” Robalino stated. Forests: To Farm or Not to Farm? This Is the Question! Carbon-Neutral Costa Rica: A Climate Change Mirage? Because of budget limitations, the program must decide which properties to work with, as applications exceed its capacity fivefold, according to Fonafifo director Rodríguez. Priorities for PES funding include ecosystem services like watershed protection, carbon capture, scenic beauty and biodiversity conservation. “Costa Rica learned that forests are worth more for their environmental services than because of their timber,” Rodríguez pointed out. Fonafifo is now looking for new partnerships with the Ministry of Agriculture and Livestock to launch a new program focused on small landowners who require more technical support, a road also favoured by FAO. 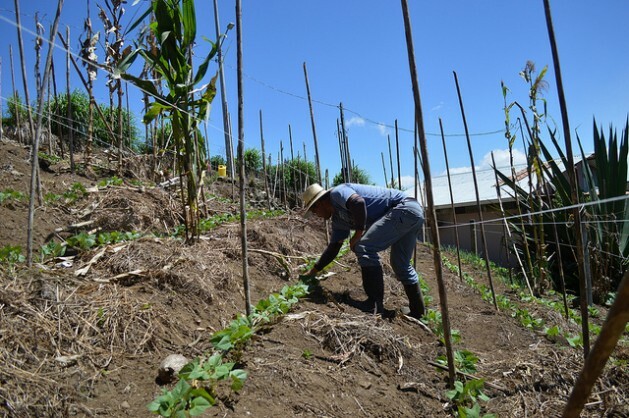 “Agricultural development doesn’t necessarily require the expansion of croplands; rather, it demands the coexistence with the forest and the intensification of production by improving national farmers’ productivity and competitiveness,” said Ramírez, FAO’s local representative. Both FAO and local experts interviewed by IPS agreed that PES seized upon a national and international crossroads to launch a program that despite its success, is not the only cause for Costa Rica’s recovery. “Costa Rica’s success cannot be exclusively attributed to PES since other policies, like the creation of the National Protected Areas System and its education system, also played a major role,” Rodríguez explained. Beyond this program, the country has a longstanding environmental tradition: close to a quarter of its territory is under some type of protection, the forestry law bans forest conversion, and sports hunting, open-air metallic mining and oil exploitation are all illegal. The country’s Constitution declares citizens’ right to a healthy environment in its article 50. “I remember my school teacher telling us students that we had to protect the forest,” Robalino recalled. However, Costa Rica’s forest recovery didn’t reach all ecosystems in the country and left mangroves behind. Their area has diminished in the past decades. According to the country’s 2014 report to the Convention on Biological Diversity, mangrove coverage fell from 64.452 hectares in 1979 to 37.420 hectares in 2013, a 42 percent loss. This ecosystem is particularly vulnerable to large monoculture plantations on the Pacific coast, where the local Environmental Administrative Tribunal denounced the disappearance of 400 hectares between 2010 and 2014, due to human-induced fire, logging and invasion.